Do you like cruising along the river? Well, if you are some kind of a tourist who enjoys boat cruising, then you must go to Vietnam. There are so many great rivers, islands, islets or oceans to cruise. But, believe it! You have to try cruising along the famous Mekong River. The Mekong River is the 12th longest river in the whole world and the 7th longest river in Asia. Can you visualize how long it would be? It is estimated to have a length of 4,350 km or 2,703 mi. The rivers start from the plateau of Tibet and going through various countries, such as the Yunnan Province of China, Laos, Thailand, Myanmar, Cambodia and Vietnam. These countries call the Mekong River in different names. In China, it is called Lancang Jiang or Turbulent River. In Thailand, Laos and Myanmar, it is called Mae Nam Khing. In Cambodia, it is called Tonle Than or Great Waters. In Vietnam, it is called Cuu Long or Nine Dragons. The Mekong River was also named as the Dragon Running River, Big Water, Mother River and River of Stone. Many people depend too much on the Mekong River. Many things happened along the Mekong River. It is where food is coming. People also work along the river. Business, trading and industry goes right. It also became a tourist spot. This is why people need to take care of this river. Because of the greatness of the Mekong River, it became popular with local and foreign visitors. Tourists can always find cheap or luxury boat trips to choose from. So, you better talk to your travel agent and book your cruising trip along the Mekong River. This will surely be a memorable cruise tour of your life. 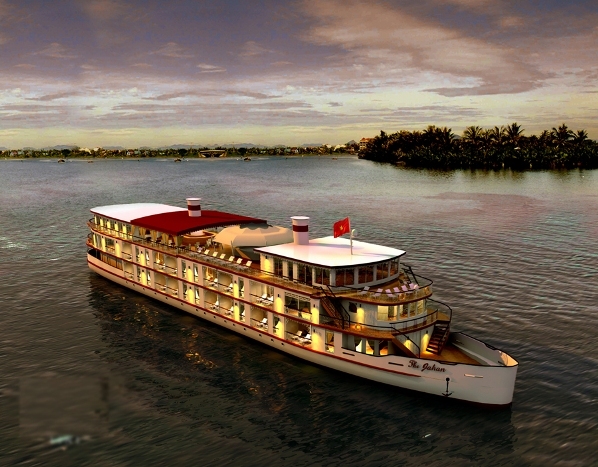 Let’s say that you are going to cruise the Mekong River on Bassac for 3 days and 2 nights. That will be enough to have the best cruising experience. On the first day of your trip, you have to depart from Cai Be. Of course, from Saigon, you need to move to Cai Be by bus or car. That will take you 3 hours and 30 minutes. Upon arrival at Cai Be, you have to wait for your boat and check in by noon. Your lunch will be served there. You will then head to Cho Lach and along the canal, you will find various landscapes. You may also observe the lifestyle of the people living in a village along the banks of the Mang Thit River. Your night cruise continues and stops at the Tra On floating market. On the second day of your cruise, you will head to the Can Tho. You will arrive at the Cai Rang Floating Market. You may move to small boats and move around the floating market. Later, you will be having lunch along the Hau River and enjoy the sceneries along the Nicolai Canal. On your third day, you will be cruising and arriving Cai Be, where you can move to small boats and roam along the floating market. From there, your boat trip ends and you will be sent back to Saigon. Having such trip might be tiring. The whole time you are on the water. If you are not used to traveling by boat or ship, then it might bore you and you might feel dizzy along the trip. So, before starting your boat trip, prepare yourself. Cruising along the Mekong River will show you the beauty of nature. You can see how life is going on out there along the river banks, where many people have their houses built on the water. You will also find various products to buy at the floating markets. You can experience how trading happens and you can have the fresh and delicious foods offered.